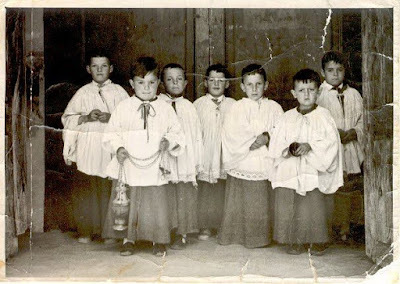 New Liturgical Movement: Fostering Young Vocations (Part 7) - Who’s Afraid of the Cassock? Fostering Young Vocations (Part 7) - Who’s Afraid of the Cassock? 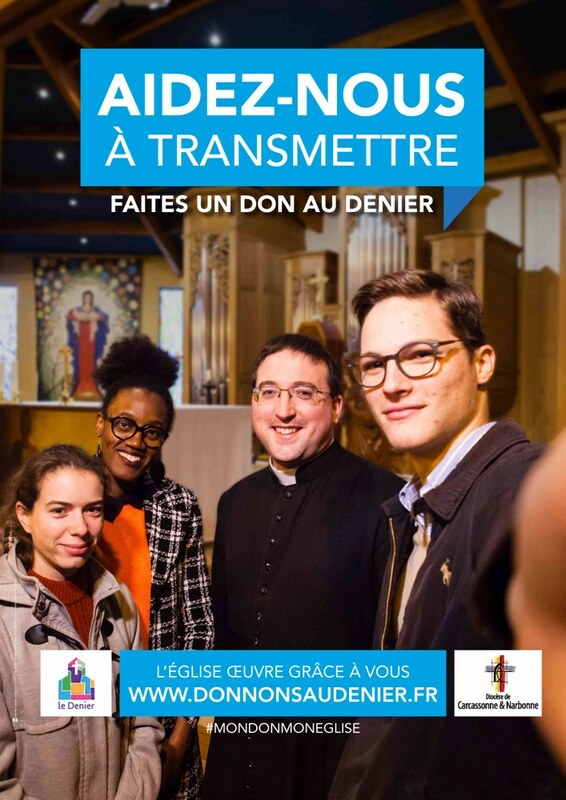 From the video is taken this still-shot for a poster, which, however, was used only by the diocese of Carcassonnne. 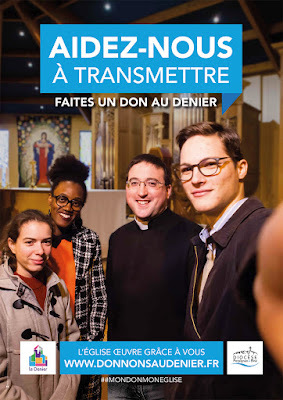 At Perpignan, Montpellier, and Nimes, it was apparently deemed necessary to make the poster more suitable for publication by photoshopping out the priest’s cassock, replacing the part at the bottom with jeans, and blurring the buttons above. This was, not surprisingly, done badly and on the cheap, as you can see by clicking the picture to enlarge it. I bring this item to the attention of our predominantly American readers not to depress you, but as a reminder of two things. First, as we come to the holiest days of the year, remember to pray for the Church throughout the entire world, for the places where the Faith is languishing as well as those where it is flourishing, and especially for those where it is persecuted. Second, remember that despite everything, much progress has been made towards better days, and will continue to be made. Back in the madness of the ’70s and ’80s, (and yes, well into the ’90s ... and yes, even beyond that), a cassock could well mark an American seminarian out for mistreatment or expulsion. In many places (not enough, but many) they are no longer the least bit controversial. I know of one congregation whose members 20 years were never seen in a cassock outside the most strictly formal occasions. A few years ago, the novices of that same congregation asked if they could wear the cassock for their first profession ceremony; not only was this permitted, it wasn’t even debated. And finally, a reminder of what the sanity to which the Church will eventually return looks like. Tradition will always be for the young!